Cantus, which last performed at Penn State in 2014, has been called “the premier men’s vocal ensemble in the United States.” The group returns to perform Alone Together, an introspective look at what it means to connect in our modern world. The world premiere of the multi-movement piece You by Grammy Award-winning composer Libby Larsen, co-commissioned by the Center for the Performing Arts through its membership in the Music Accord consortium, helps to celebrate a reaffirmation of our humanity through communication and a recognition of our universal need for understanding and acceptance. Alone Together also includes music by Arcade Fire, Ludwig van Beethoven, Sydney Guillaume, Jennifer Higdon, Lennon/McCartney, Dave Matthews, Don McDonald, Ingrid Michaelson, Laura Mvula, Pasek and Paul, Camille Saint-Saëns, and Simon and Garfunkel. Tickets are available for purchase at Pasquerilla Spiritual Center on the evening of the performance, but only cash or checks can be accepted at the concert venue. Hailed as “the premier men’s vocal ensemble in the United States,” Cantus is acknowledged around the world for its programmatic versatility, artistic excellence, and charisma. Cantus will perform a mini concert of selected works. Also, Grammy Award winner Libby Larsen will discuss “You,” her new composition that will have its world premiere performance as part of Cantus' September 25 concert at Pasquerilla Spiritual Center. 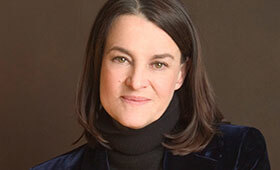 Bring your lunch and join Penn State School of Music faculty and students for a seventy-five-minute conversation with Grammy Award-winning composer Libby Larsen. One of America’s most-performed living composers, Larsen has written more than 500 works in a variety of genres. Cantus will perform the world premiere of Larsen’s You, a multi-movement work, later that day at Pasquerilla Spiritual Center. Watch a preview of Alone Together.